Learn Why Florida Renters Choose Blacks Insurance. Renters Insurance is the only way to truly protect the valuables you own in the property that you rent. No matter how safe and vigilant you are accidents can still happen. In Florida your space is susceptible to floods, windstorms, vandalism, theft, fires and other tragedies that your neighbors, landlord or mother nature can cause. The most responsible thing that you can do is call Black’s Insurance so you can be protected against the circumstances beyond your control. Angie is the one you'll want to talk to for your home or auto insurance needs. 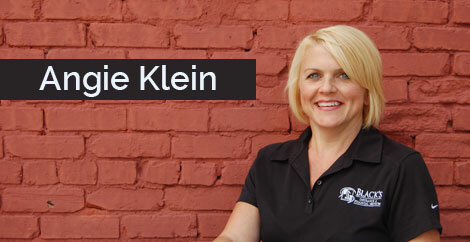 She has been in the insurance field for 8 years and is proudly a Plant City native. In her free time she enjoys painting, gardening and volunteering at church. Angie and her husband also enjoy traveling and discovering new craft breweries.